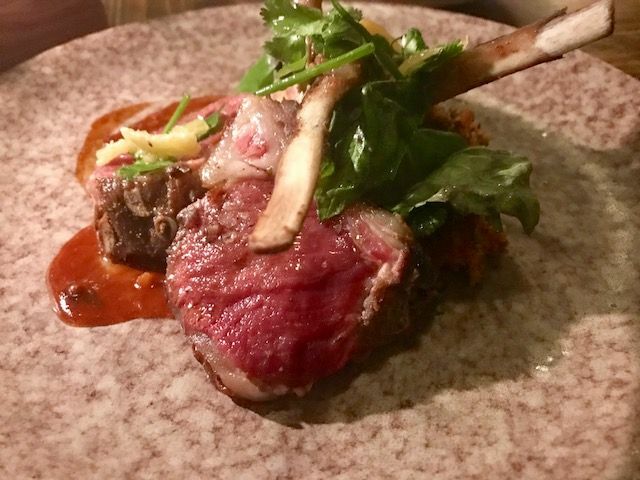 These exceptional lamb chops were cut from the whole rack and grill-roasted on hay. Woodpecker by DB? Is that really a compelling name for a new restaurant? 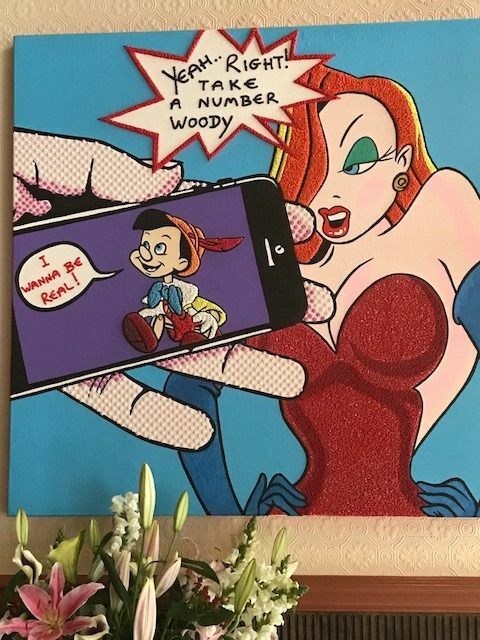 The woodpecker, after all, is an obnoxious, single-minded bird that makes an annoying rat-a-tat. 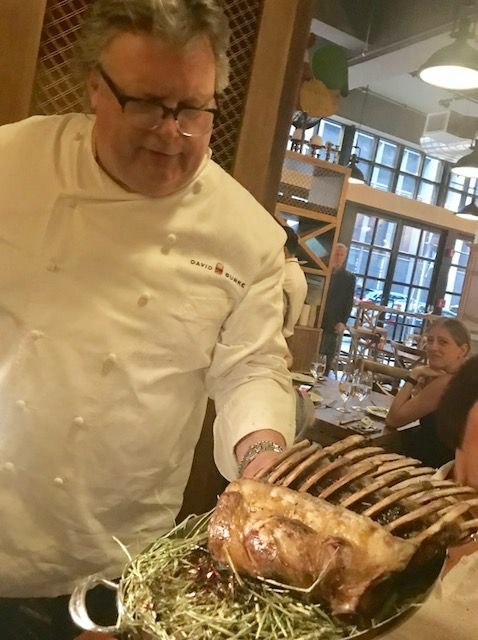 “Yes, I was thinking about birds,” chef David Burke explains. The egg-shaped bird, dressed as Boss Tweed, is the icon of Tavern 62 by David Burke, his very successful venture in midtown. Chef David Burke was thinking of birds and came up with the theme of the Woodpecker. No surprise for Burke fans, here’s the sign of welcome at the entrance, photo by Dana Stoddard. A hawk would be too threatening, an owl might be musty, a sparrow, too common and inconspicuous. But a woodpecker, a cross between determined and deranged, struck him as perfect. 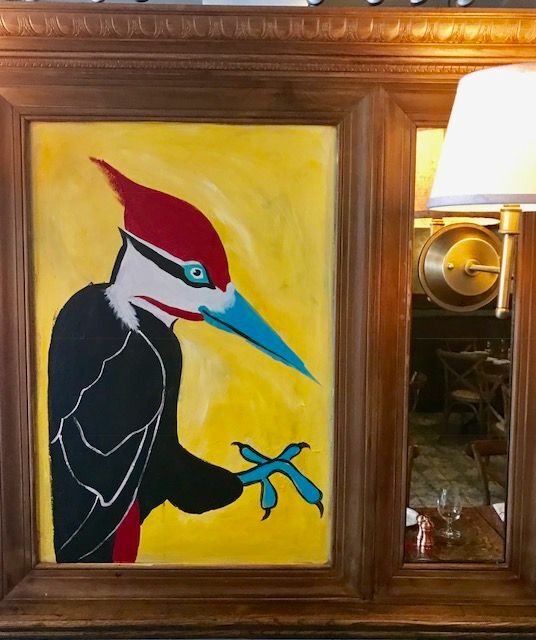 So there are bird houses hanging on the wall and a big red, blue and black woodpecker printed on the menu, almost obscuring a few listings and making it hard to read “Lobster Calzone,” one of my favorites here. 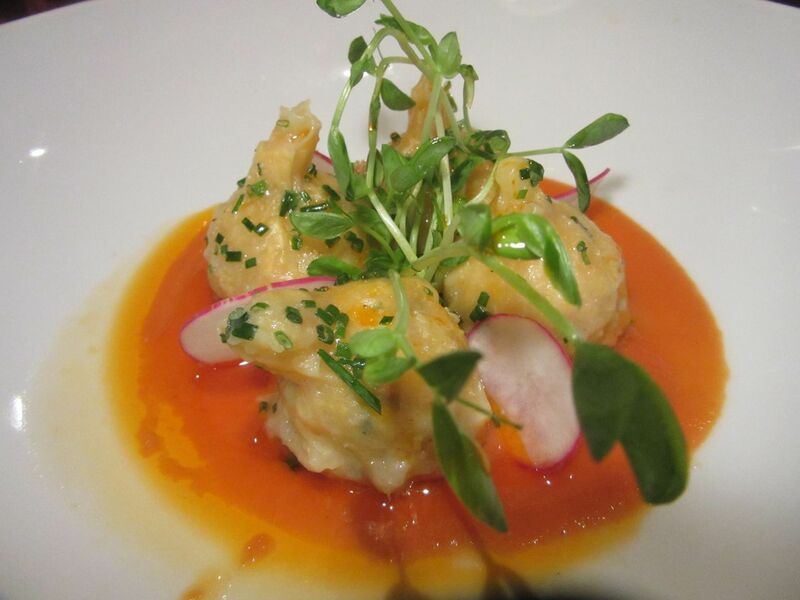 The bright red crustacean tail emerges from the top of a doughy package packed with buttery flesh. 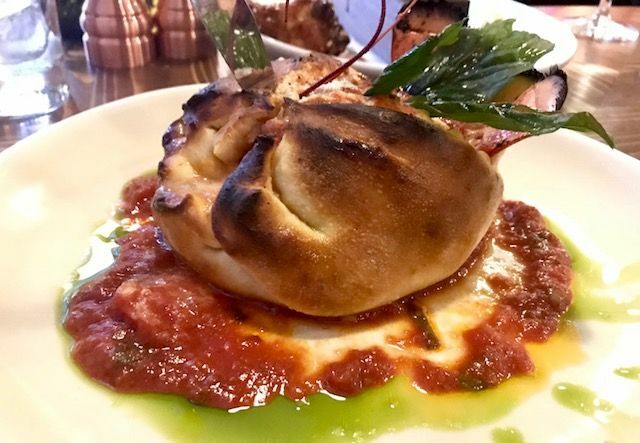 The rich and buttery lobster calzone has bright red claws peeking out of the top. Dana Stoddard Photo. 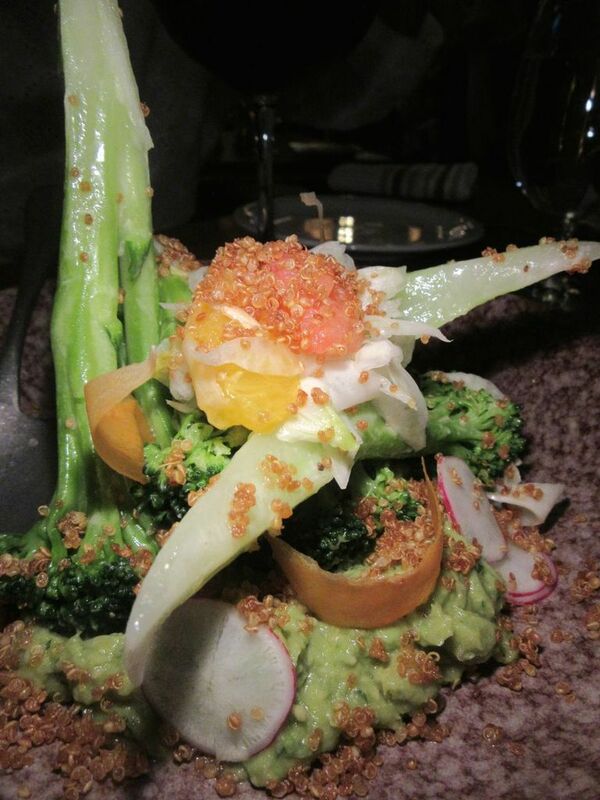 Drag the broccoli “mops” through the guacamole with quinoa, citrus and fennel. 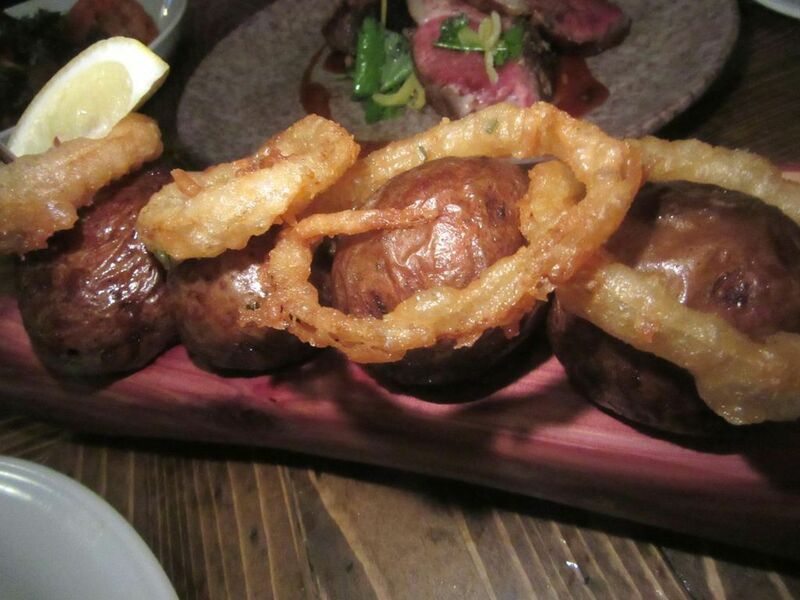 An onion ring lounges atop each of these fine spring “Couch” potatoes. 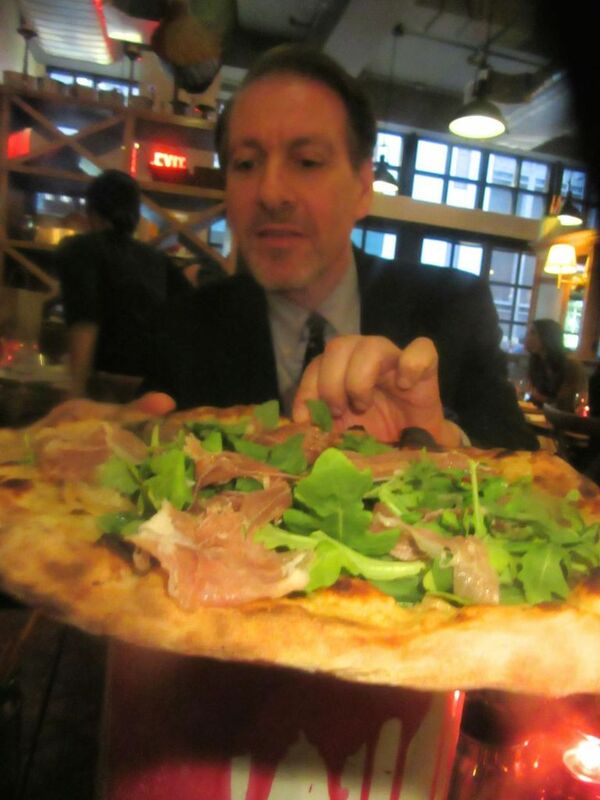 We share the wood-roasted clam and prosciutto pizza with ricotta, arugula and roasted garlic. 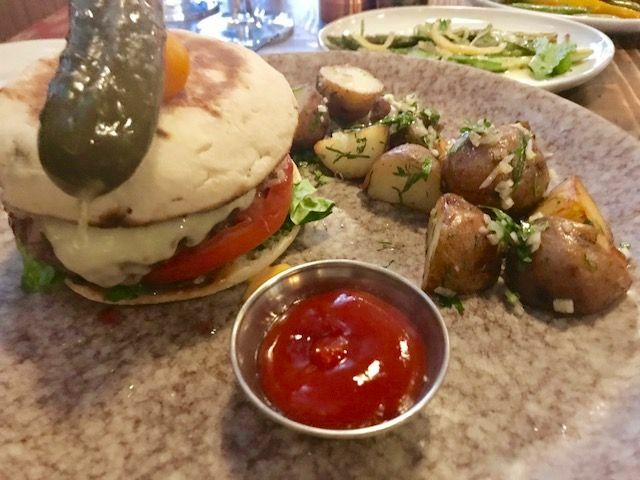 The dry-aged cheeseburger is served with crispy roasted potatoes. Photo by Dana Stoddard. These childish tricks might be annoying if most of the dishes were not so delicious. I didn’t try the “Grillos” (cricket) pizza, but, as the chef points out, there are four other pies, delivered to sit atop an empty paint can on the table. 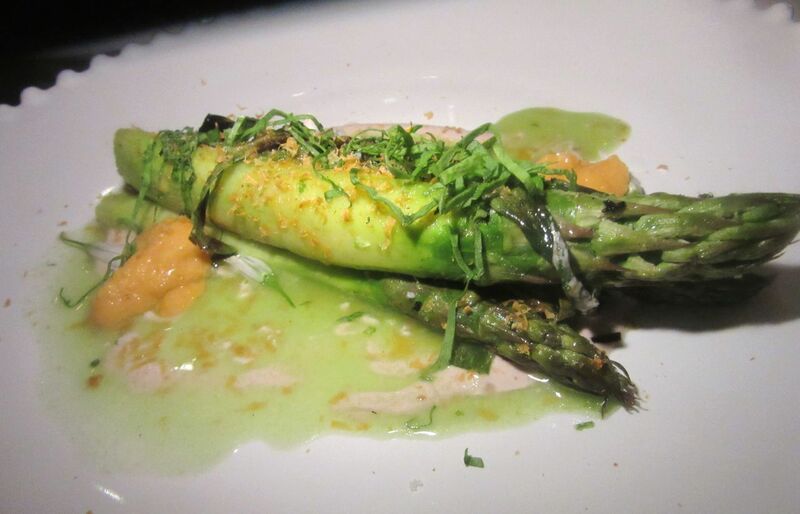 Feel free to order either the clam pie with prosciutto, ricotta, roasted garlic and arugula or the artichoke on fontina with ramps, mushrooms and asparagus -- a celebration of spring. 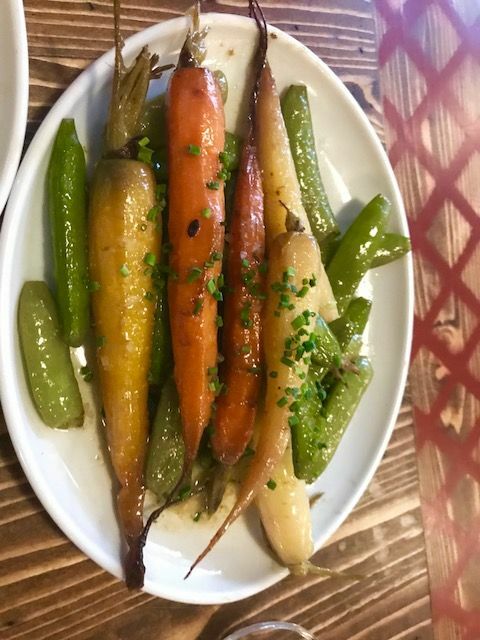 Sugar snap peas and woodfire-roasted carrots in two colors are a $10 side for the table to share. The place is in previews the three times I show up. The reservationist neglects to alert us that the liquor license has yet to arrive. One of my companions calls his driver to pick up two bottles of red because we’re too lazy to walk a block to the nearest bottle shop. 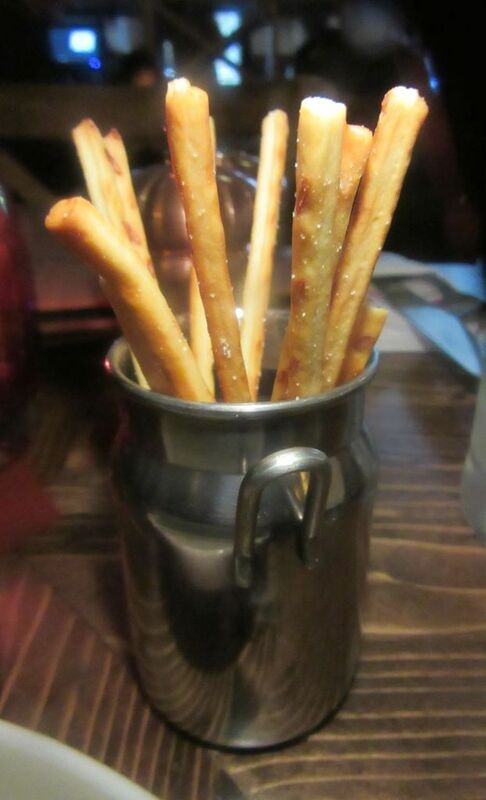 A miniature milk pail holds miniature bread sticks sitting in a puddle of garlicky olive oil. 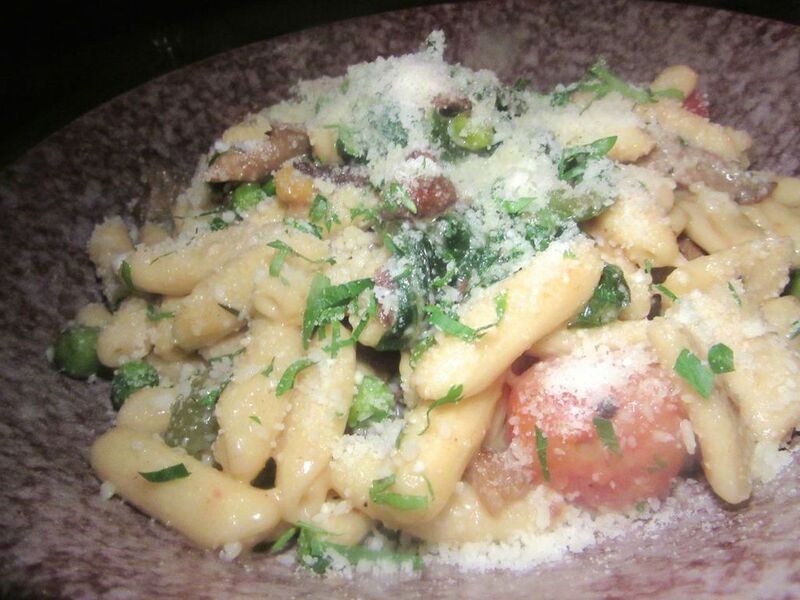 Housemade cavatelli is laced with ramps, peas, mushrooms and roasted tomatoes. The kitchen is finding its way and we finish extra relays of little breadsticks served in a small milk pail in a puddle of olive oil while waiting for dinner. Should bread sticks be so short and still so good? Why not! Watch that the oil doesn’t spill on your tie. 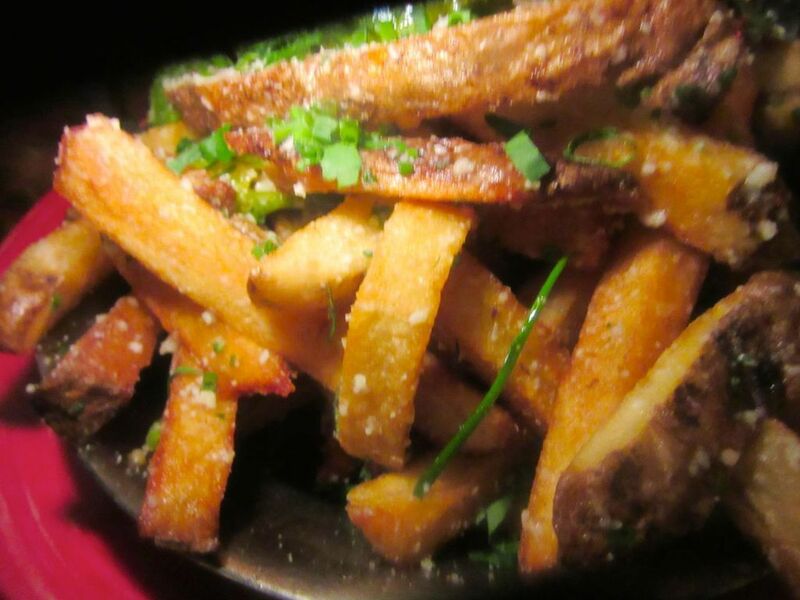 Hipster fries are tossed with bacon, Parmesan, chili oil and shishito. The clam pizza is not impressive that first evening. And the lamb chops are not rare enough for us. But we’re pleased to share the cavatelli with ramps and peas (more spring), and the hipster fries tossed with bacon, Parmesan, chili oil and shishitos. The evening’s special sea bass is overcooked. We send it back and it gets dropped from the bill. The banana-chocolate-peanut butter cream pie is topped with Jacques Torres chocolate covered Cherrios. We take comfort in the Burkian decadence of desserts. 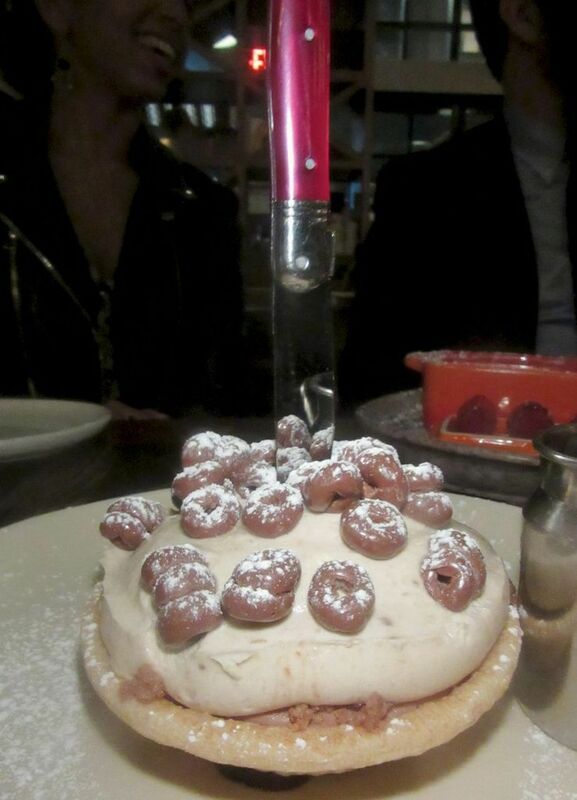 That smoked tart served in a glass bell with vanilla ice cream and fig caramel, the Creamsicle crème brûlée in a coffer with raspberries and the banana-chocolate- peanut butter cream pie topped with Jacques Torres chocolate-covered Cheerios. 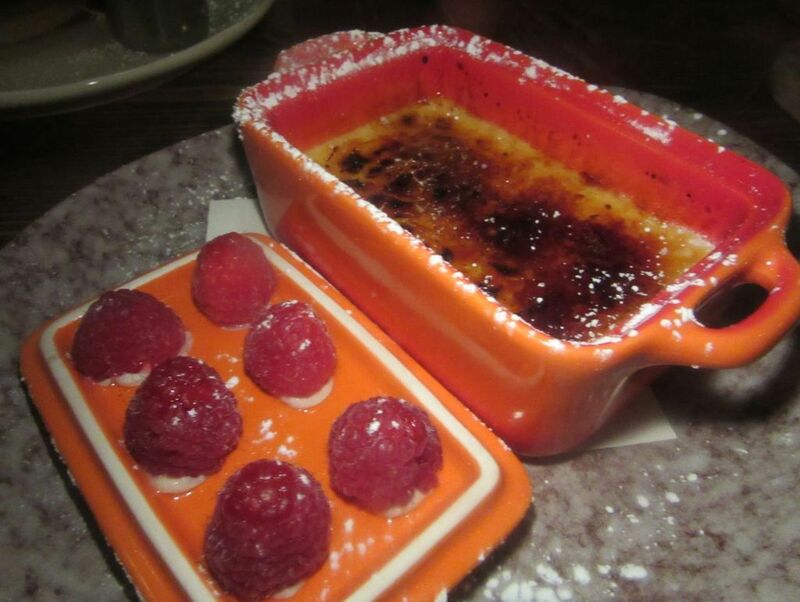 The Creamsicle crème brûlée is vanilla,orange flavored, of course, and topped with raspberries. 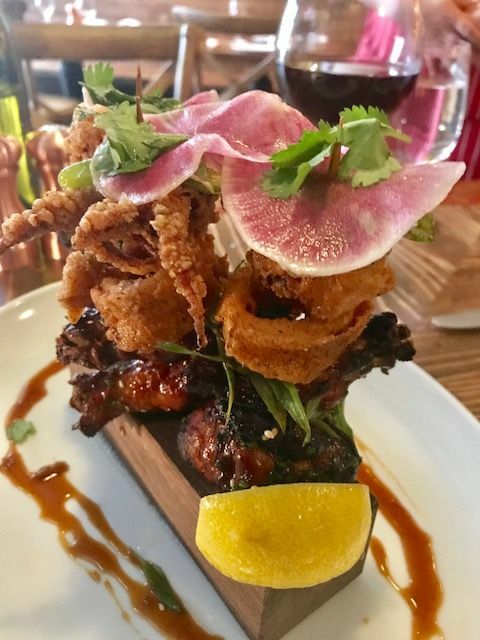 K-town chicken wings and crispy calamari rings stand upright on wooden skewers. Stoddard Photo. Artichoke nests on fontina, with ramps, asparagus and mushrooms in a pie inspired by spring. The menu lures me back a week later. I want to try everything. The service is still in rehearsals, but the kitchen is better. 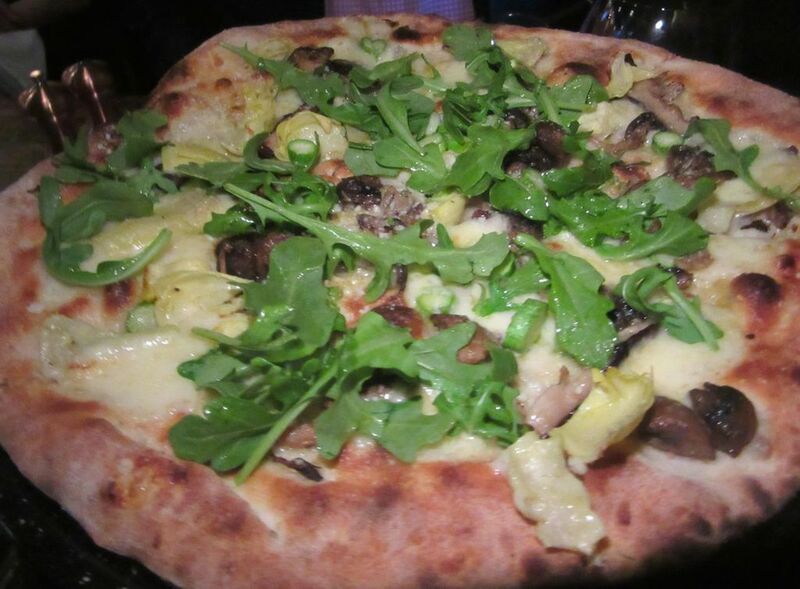 The artichoke-fontina pizza is lush with singed bubbles. “Wings and Rings” combines super crispy K-town fried chicken in an armor of batter and calamari on standup skewers topped with a shishito pepper. Asparagus, prosciutto, burrata and watermelon come together in an odd but delicious salad. The Woodpecker Caesar combines kale and romaine with parmesans crisps and millet croutons. 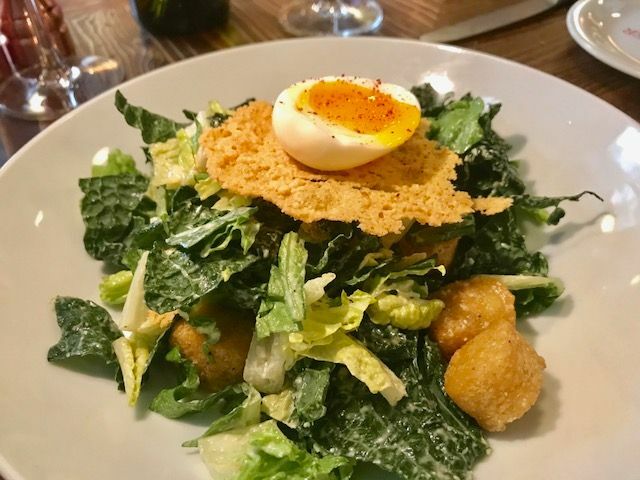 At two more dinners, I decide any one of the salads makes a good lift-off: The kale and romaine Caesar with a soft egg and millet croutons. Gem lettuce and beet with pistachios and yogurt. Or the colorful gathering of asparagus, prosciutto, burrata, watermelon and olives. I enjoy dipping a broccoli mop into guacamole without the guilt of the thousand chips I usually use. Zucchini, garlic, chili and pecorino are swirled into the Pocono spaghetti. 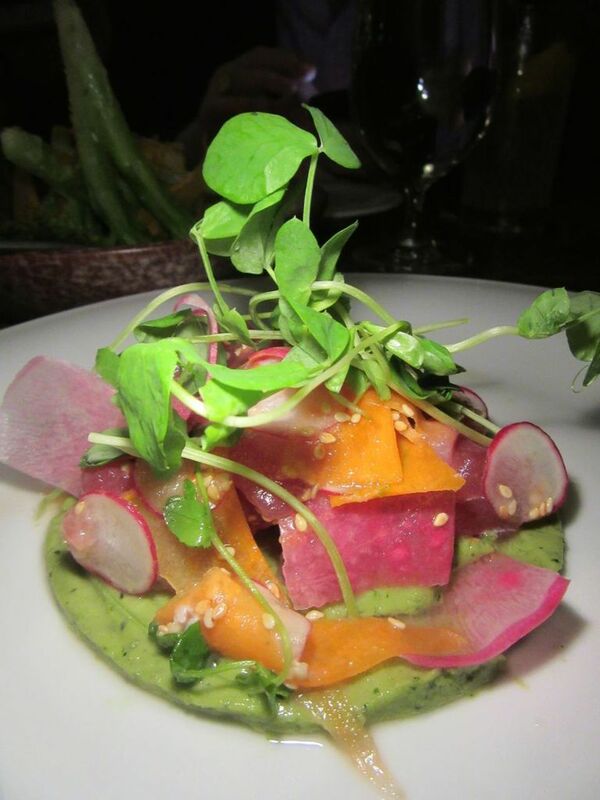 Every restaurant does tuna crudo. There’s nothing weird or creative about Burke’s. It’s fine. 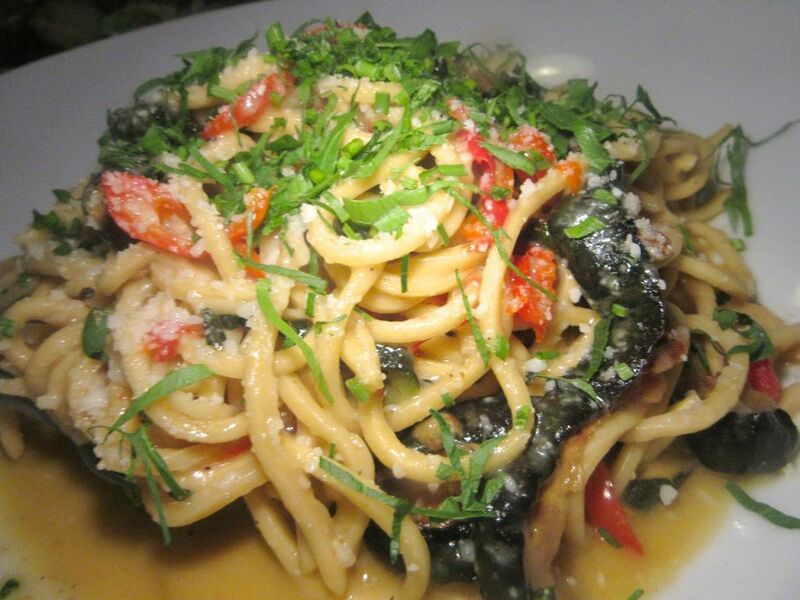 But I’d rather have the lobster calzone or the Pocono spaghetti with zucchini and pecorino with its buzz of hot chili. 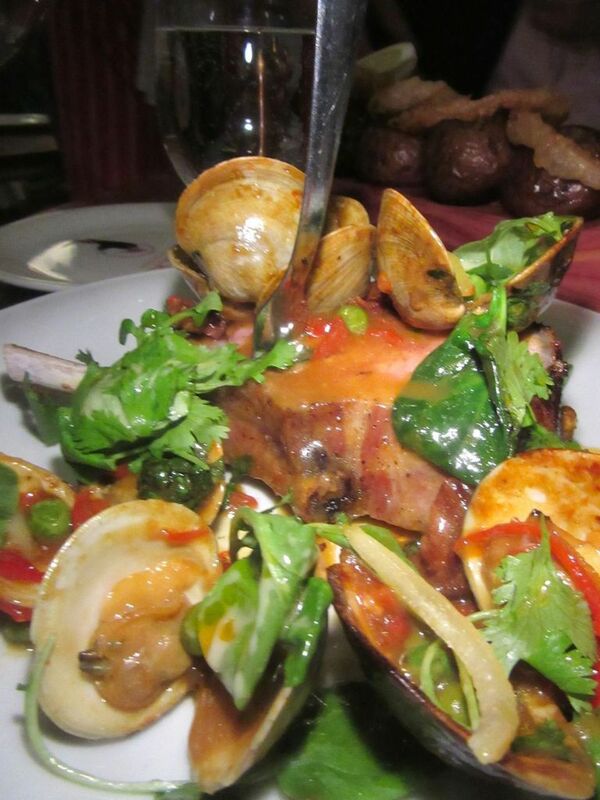 Casino clams surround the dry-aged fire-grilled pork prime rib. Since my pals and I are pizza fans, we never seem to have room to taste all the entrees. We pass up the prime filet mignon with beef belly hash and an egg in red wine, and the woodfire-roasted branzino. But on one evening we’re happy sharing the cheeseburger with crispy roasted potatoes. On another we tackle an outsize dry-aged pork prime rib, exquisitely pink and moist, surrounded with clams casino. 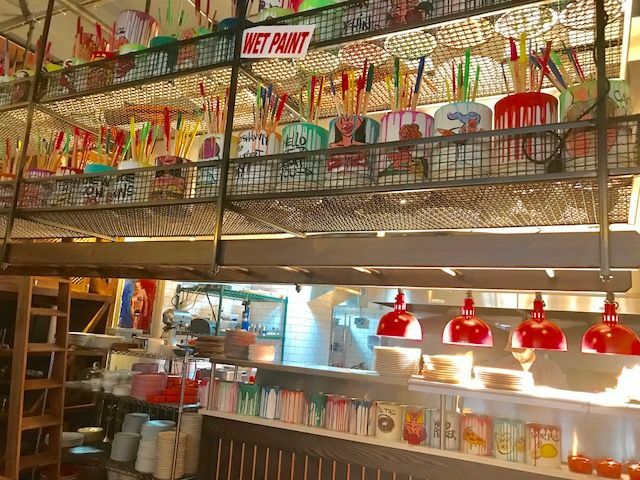 Paint cans lined up on a shelf over the kitchen are a decorative and also serve as pizza stands. I reserve anonymously for a third dinner to find Burke sitting at the window eating when I arrive. We’re led to a table in a tight corner that feels claustrophobic and warm. The manager offers to turn up the air-conditioning. Our young waitress seems to have arrived five minutes before we did. Each question we ask dazes her and she goes to the kitchen for an answer. I worry what drama there might be here once Woodpecker officially opens. I knew the kitchen was coming together when Burke came out to present the rack of lamb cooked on hay. That’s the evening I discover the lobster calzone. Then Burke arrives wrestling a whole rack of lamb from the wood-fired grill, bones stripped clean, spilling sticks of hay. Not much later, bussers return with the chops we’d ordered. Normally there will be three to a portion, but the chef has sent four of the meatiest for our quartet. (Order an extra too if you are hungry.) The lamb is boldly rare, its rich gaminess cut with lemon. “Sometimes we make donuts,” is a tease on the dessert menu. I only saw these zeppole once. Across the room I watch a server delivering Burke’s iconic chocolate-dipped cheesecake lollypop tree. 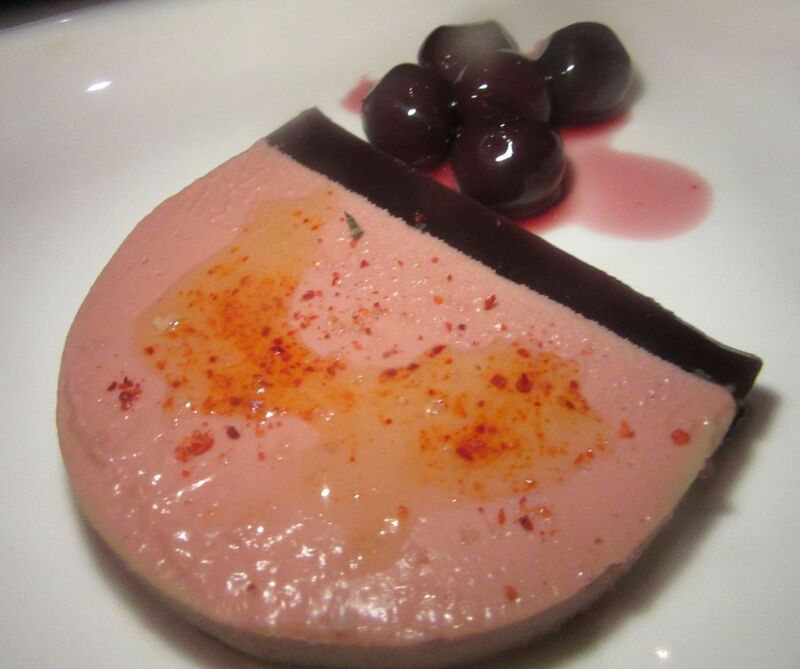 But given our excess, we resist splurging on dessert beyond a duo of sorbets, two orders, enough for four. 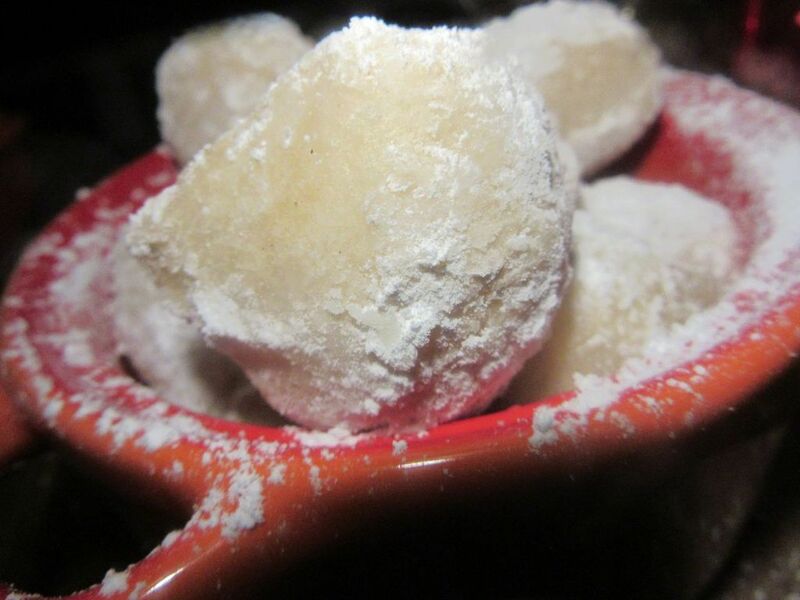 I can’t believe I’m longing for the powdered zeppole that arrived on our first visit. “An occasional special,” Burke tells me. “Sometimes we make donuts,” is like a tease, printed at the bottom of the dessert list. 30 West 30th Street (1216 Broadway) between Broadway and Fifth Avenue. 646 398 7664. Monday through Thursday 5 pm to 11 pm. Friday and Saturday 5 pm to midnight. Brunch starts June 12. Saturday noon to 11:30 pm, Sunday l1am till 10 pm. Lunch is expected to launch two weeks later.